Those were some incredible times, when nobody really knew about XRP or Ripple, and the crypto market was learning about them for the first time. In mid-2013, that all changed, and an XRP fan base had started to form. It was a minority of users on the Bitcointalk.org forum that believed in the potential of Ripple and XRP, and we were hoping to plant our flag just as Bitcoin owners and early adopters had planted theirs. We needed a site all our own, however. It was similar to today's XRPChat in some respects; the interface bore a blue theme to reflect Ripple's blue logo; it was forum posting software that was different and more user-friendly than some of the others that had sprung up in the crypto world such as Bitcointalk. It began in mid-2013, just as the knowledge of XRP started to filter through the existing crypto market. Many of the fans thought that they should probably support XRP as well, so they created an account on this new forum site devoted solely to Ripple's digital asset. These were uncertain times, remember, and until then, almost all alternative coins were discussed and debated on Bitcointalk.org, which of course was created primarily to discuss Bitcoin-related topics. XRPTalk was different - it provided a centralized location where the various fans could join together and debate and discuss XRP-related news without the negativity that pervaded Bitcointalk.org. On Bitcointalk, it was a regular occurrence for Bitcoin maximalists to trash almost any new coin or innovation due solely to how threatened they felt by it. At least on XRPTalk we'd be among like-minded people - for the most part - who wanted to give XRP and Ripple a chance. XRPTalk lasted for a little over two years. Yes, I was there, but under a different name than my current Hodor avatar. While I contributed every once in a while, I did not (and still don't, actually) consider myself an expert on Ripple or XRP. But I was a developer, and I was interested in building on the XRP Ledger in my spare time, which is what I did. I constructed some web pages that would check for a specific payment from a wallet, and other projects. My nine-to-five job required me to place my attentions elsewhere, however. In the meantime, I lurked at XRPTalk along with the rest of the XRP fan base, eagerly awaiting news of Ripple developments and business progress; these were slow times when it comes to crypto, however, and it seemed like the greater part of all of my activities involved waiting patiently for the rest of the crypto space to understand just how revolutionary XRP was. 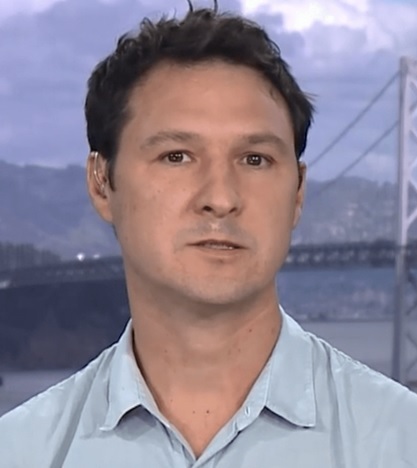 Jed McCaleb was one of the founding members of Ripple. 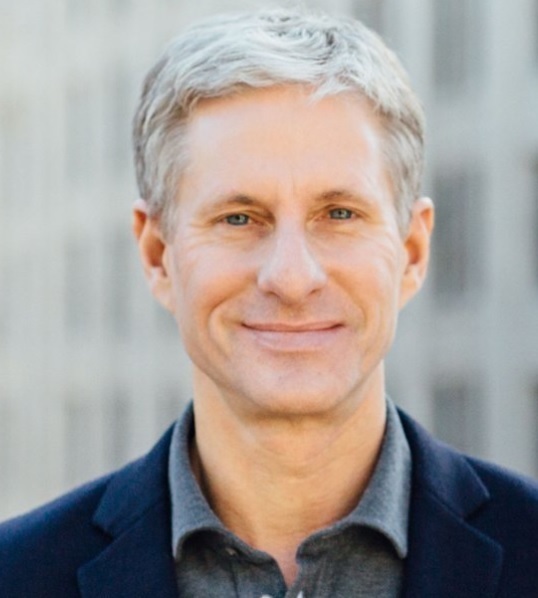 It was both he and Chris Larsen that finalized a deal with Ryan Fugger to utilize his concept of a credit network; he was also part of the original team that constructed XRP. 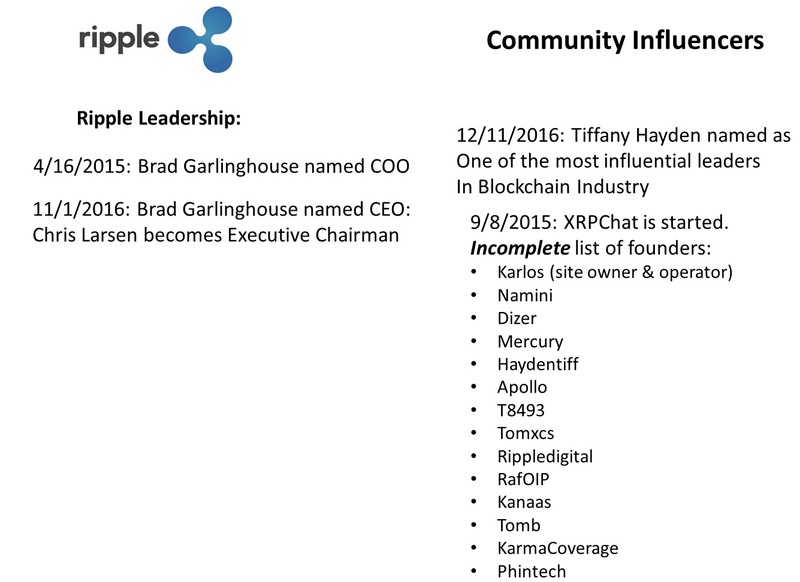 Jessie Powell (Founder and CEO of Kraken) was also involved, and was on the Board at Ripple. While there is more to the story by any stretch of the imagination, the short version is this: According to most news outlets, trouble started to brew at Ripple Labs after Joyce Kim became involved. Joyce Kim owned a company called SimpleHoney. While the core business model of the company shifted several times, it was generally geared towards e-commerce in some respect, and originally focused on travel and vacationing. According to at least one source, Joyce Kim and Jed McCaleb wanted to merge her businesses with Ripple; subsequent to this, Ripple Labs decided to purchase SimpleHoney. Joyce Kim and Jed McCaleb conflicted with Chris Larsen, who wanted to keep the company focused on enabling banks and financial institutions using blockchain technology; instead he found himself having to deal with infighting caused by a fellow founder (Jed) and Joyce Kim. This conflict eventually led to both Jed and Chris fielding an offer from Stripe to sell Ripple Labs. 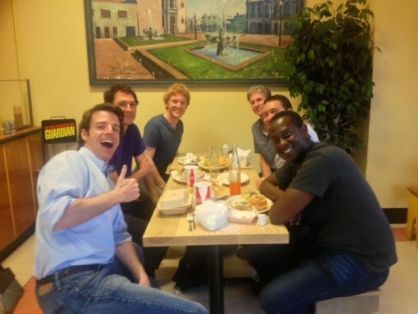 The above photo was taken at El Tepa Taqueria restaurante in San Francisco, and you can clearly see members of the Stripe team along with both Jed and Chris. However, (thankfully) the deal fell through. When do leaders with big egos fight? Usually, when they are all in the same room, and they all have a lot to prove, or a lot to lose. And those circumstances all came together during one meeting of the Ripple Board. Jed wanted to have the Board expel Chris Larsen. "Every single person begged Jed not to make us choose between him and Chris .... In the end, the vote was unanimous that Chris should stay. The only person who disagreed was Jed." In response, Jed chose to leave Ripple Labs, and decided to form his own organization, Stellar. While the Stripe deal may have fallen through, some surmise that the vision was originally to re-ignite a Stripe partnership with Stellar; the market will ultimately decide on the viability of these new business ventures. While XRP fans followed the high-profile news of Ripple's shake-up, they were also concerned about something that had the potential to affect each of them individually; the possible dumping of Jed's share of his XRP. Jessie Powell was a critic of both Jed and Chris's XRP holdings, indicating that he would prefer these holdings of XRP be gifted to the company. Since this didn't happen, Ripple Labs was left with a problem. To counter the sale, Bitstamp chose to freeze it's USD tokens in Jed's wallet. Note that it's impossible to freeze XRP, but it's not impossible to freeze exchange-issued tokens. And this is exactly what Bitstamp did to the sale, until the legal proceedings could be completed between Ripple Labs and Jed. The law moves at a slower pace than we'd like. for the second and third years of this agreement, Jed and the DAF will be able to collectively sell for each day of the week 0.75 percent of the Average Daily Volume. for the fourth year of the agreement, Jed and the DAF will be able to collectively sell for each day of the week 1.0 percent of the Average Daily Volume. In addition to these sales restrictions, Chris Larsen agreed to gift seven billion XRP to the Ripple Foundation for Financial Innovation, although it's unclear what form or schedule this donation will take. In my last blog, I covered the initial round of investment in OpenCoin that was made, and how the name of the company was then changed to Ripple Labs. Once Ripple Labs was clearly showing itself as having the potential to be a ground-breaking organization in the new blockchain technology arena, more suitors started to knock at the door. In the first round of investment, a sum total of $9 million was put into Opencoin. In this round, after showing a two-year track record, a total of $87 million was invested. That's almost ten times the amount of the original investment in Ripple Labs, and it was an early indication of how much money could be raised for new crypto ventures. Later ICOs would use this as a benchmark, and certainly some of them in 2017 have reached this outstanding level of investment. This was two years before ICOs became popular. 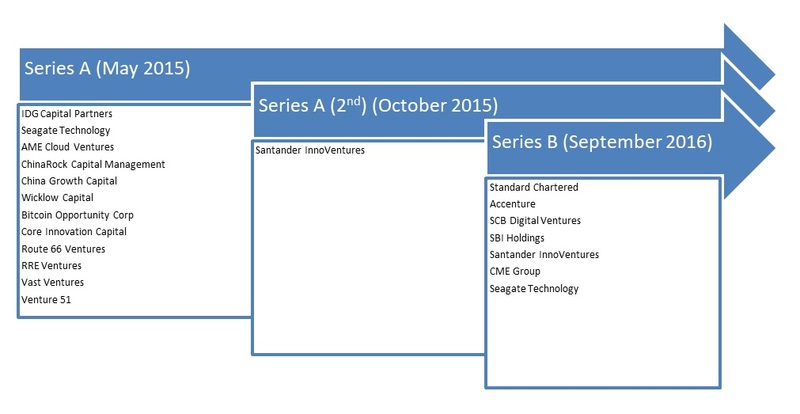 And it represented a significant amount of investment by many mainstream companies and investment groups. It was obvious that they expected Ripple to make good on its promise of helping banks and financial institutions reap the rewards of blockchain technology and distributed processing. The number of crypto exchanges in existence was limited during the time frame from 2014 - 2016. The volume of Bitcoin traded in January of 2014 was, on a good day, $40 million. That same anemic number would now not even be considered worthy of a top ten spot in the crypto listings! 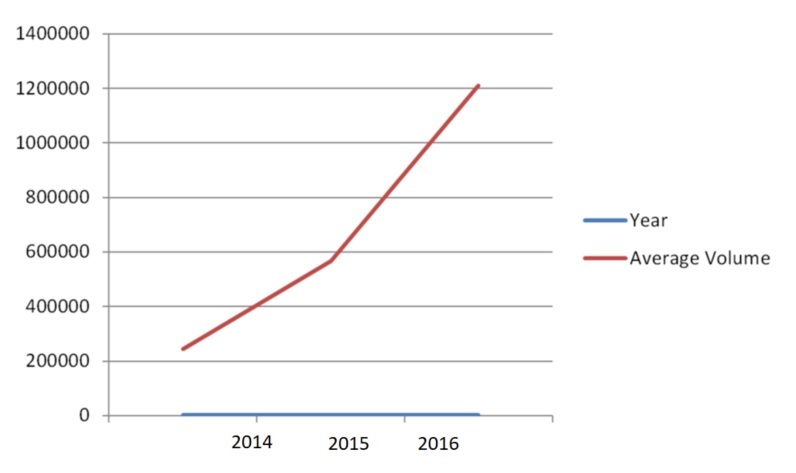 Yes, the crypto market has grown quickly since then. During this same time frame - January of 2014 - the volume of XRP was lucky to break $50K per day; across all exchanges. Much of that historical volume was dependent on a small number of exchanges, including Bitstamp and Gatehub. 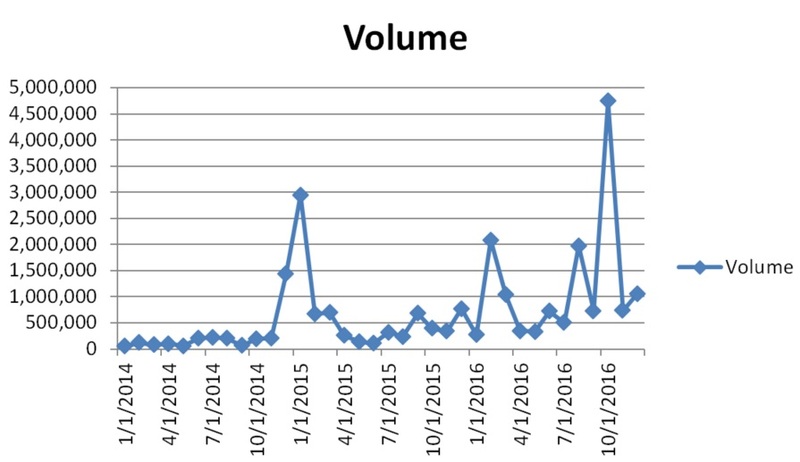 While these exchanges continue to operate today at high levels of volume, they were historically small compared to contemporary volume. Several prominent, outspoken proponents of Ripple, XRP, and blockchain technology started to emerge over these three years, and some of those early Ripple board members left to start new enterprises that have since added significant innovations and changes to the crypto ecosystem. During this same time period, some members of the XRP fan base started to rise in prominence. XRPTalk was run by an individual (his avatar name was Hurukan) that seemed to grow more despondent about XRP by the day. Evidently, he had an internal timeline for his investment, and Ripple was unaware of this timeline. Because of this, and because Ripple never asked for his opinion or advice, his mood continued to sour as the weeks grew into months, and the months grew into years. Hurukan issued a last communication that was his swan song. While he may have started a forum for XRP, he also single-handedly chose to shut down the site. Perhaps the cost of the site became too much for him, or perhaps he grew disillusioned with the pace of his investment growth. No matter the reasons, the community proved more resilient than one chat forum. One of the prior members of XRPTalk decided to start a new chat forum the same month that XRPTalk closed down: September of 2015. Personally, I was happy to see how quickly the community sprang back from the setback of losing its primary forum, and I joined and made a decision to start contributing from the beginning; no longer would I be a silent lurker benefiting solely from the contributions of others; I would resolve to contribute my own research and thoughts as well, in addition to building my career outside of crypto. I was not alone. Many of the former members of XRPTalk joined us, and our new forum picked up steam quickly, attracting many XRP fans and developers, as well as getting the attention of Ripple (the company). While the "Labs" part of the company name served to demonstrate its commitment to the scientific discipline of cryptography and digital technology, the company felt that it also conveyed a certain inadequacy for production deployment. Once the software packages were mature enough to be deployed in a production setting, the company felt like the next logical step was to drop the "labs" from their name and instead focus on a singular brand name; Ripple. They announced this change on October 6th, 2015. "We’re no longer experimenting. We’re delivering. That’s why we’re dropping the ‘Labs’ from Ripple Labs. From now on, it will just be Ripple—and Ripple is growing up." Ripple had started developing a smart contract solution to compliment the XRP Ledger. It was known as Codius, and development proceeded to a point where the code was indeed production ready, but not yet considered optimal (my own words to describe a collection of communications by Ripple). Before resuming work on Codius and creating a combination of tools to enable smart contracts with settlement directly on the XRPL, Ripple decided to shift its limited resources to the development of a new international standard of payments. They named this international standard the "Interledger Protocol," and designed the network that would be needed to support it. The goal was to create interoperability between the various cryptographic ledgers that were either already created or still in development. The Ripple team - specifically Stefan Thomas and Evan Schwartz - foresaw a day when all the various ledgers would need to communicate together. At the time that they launched the Interledger effort, it seemed that every other development team was trying to create the "ultimate ledger" with little regards for how these ledgers would communicate with one another. To create Codius in the fashion that they wanted, the Ripple team needed Interledger to be up and running first, to support interoperability. In Wall Street, there are numerous examples of large companies that, after a lifetime of long-term results and incredible performance, start focusing on short-term financial reporting to the detriment of the overall business. It's interesting to see first-hand this tendency for an organization to look at the end of a quarter or fiscal year with trepidation. This isn't the case with Ripple. They've consistently resisted the urge to engage in short-term tactics to generate interest in XRP and Ripple, and instead have focused on the long-term benefits of building a company image based on real, tangible results that can only happen with methodical, detail-oriented work. I've browsed the Github repositories. I've seen the careful ordering of code and other tools; I've observed the number of updates that their team is constantly adding - improving the tools and software that support their solutions. For the three-year period that I've described here, it was a long wait for XRP investors, but it was well worth it. We are now at a point where the groundwork has been laid, and now it's time for Ripple and their business partners to take the crypto market to an entirely new level of valuation; a valuation that will be based not only on speculative interest, but also on the organic demand created by the utility of the fastest, most scalable digital asset; XRP.